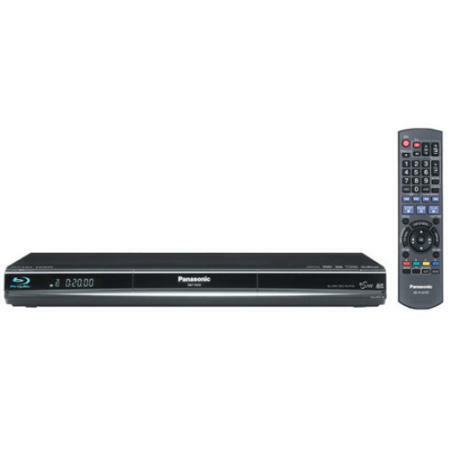 The Panasonic DMP-BD35 Blu-Ray player that I’m reviewing here has the perfect combination that you want from a gadget – fantastic features combined with huge discounts despite the fact it was only released back in October 2008! So you get a fantastic, award-winning gadget at a fantastic price – bonus! Of course, it’s only really a bargain if it’s actually any good, so I thought I’d find out to see what you get for your money these days for a decent Blu-Ray DVD player. The first thing that hits you about the DMP-BD35 is the name – I mean, could Panasonic throw any more letters and numbers at it? It’s a source of constant annoyance to me that consumer electronic manufacturers give their products such appalling names. I know it’s because most of these gizmos are simply commodities that have a half-life of 6 months before something better is released, and so it’s not worth spending the money on branding them. But still, you’d think if they were going to give it a name, even if it’s only a codename, they could make it short! Clearly not, though, so we’re stuck with the appallingly long DMP-BD35, which isn’t just annoying to read, it’s annoying to type as well! OK, rant over. Name aside, the DMP-BD35 is just like most Blu-Ray players from the outside – sleek and black with a few minimalist features letting you know whether the thing’s alive or not, and a hugely ugly remote control. It’s the inside of this beast where all the goodness lies.